Crew van rubber floor mat, 170″ wheelbase van, holes for bench seat mounting points in the first row location. This mat comes in two pieces. 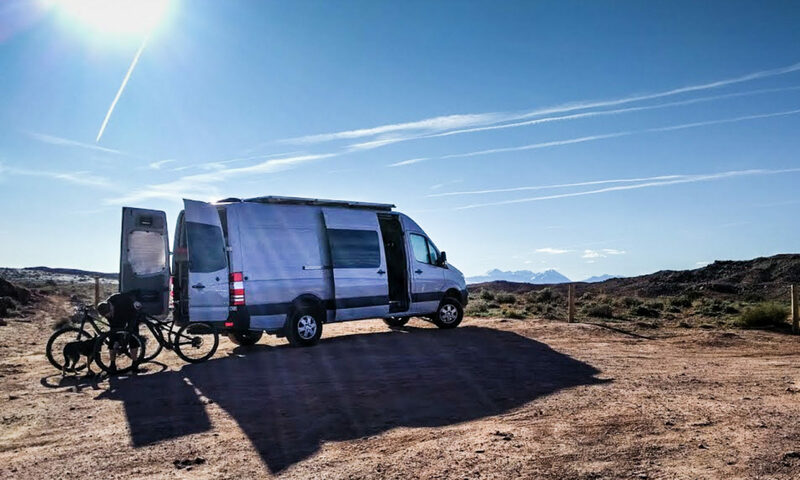 It should work just fine in a 144″ van – you just need to cut a slice out of the front edge of the rear piece. Also comes with the aluminum strip that covers the join in the two pieces. Removed from van upon purchase. We will NOT ship this item. Seattle area pickup only. Cover panel for the wall below the driver side window next to the bench seat in a crew van. Vinyl covered pressboard. Removed from van upon purchase. Unused – we couldn’t fit this in the space we had available so we had to buy a different one. This marine grade 25 liter (6 gallon) tank has a stainless interior, 750W 120v heater element, tempering valve to ensure water is always a constant temperature, and optionally can use the engine coolant to heat the water. 42″x 16″ x 8″ black ABS tank for potable water. Tasteless, odorless, non-toxic. Internal baffles. 3/8″ NPT threaded access ports. Unused. We needed a slightly smaller size of the same design for our location, and we love it. $110 on Amazon. 200 PSI rating, 2.5 gallon 6 port tank. Unused. Turned out to be just too tight a fit for our location. $72 on Amazon. Quick connect coupling, compression fittings, and 15′ of air line. $20 on Amazon. Prices above don’t include shipping. All take-off parts are from a 2015 170″ crew 4×4 vehicle. Make sure they’ll fit your van before you buy.